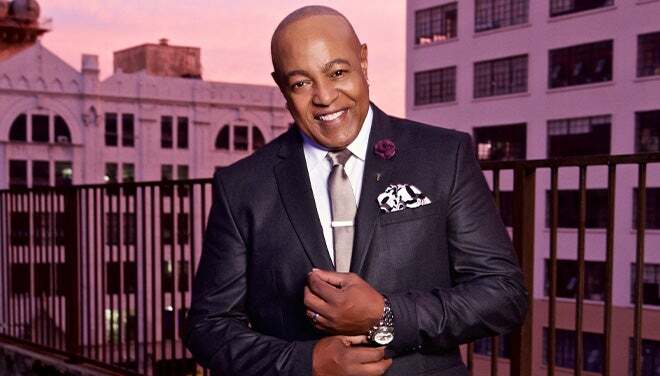 Thursday, May 16, at 7:30 p.m.
Greenville, S.C. - Greenville native Peabo Bryson brings his Stand for Love tour to the Peace Center on Thursday, May 16, at 7:30 p.m.
Possessing a beautifully rich, almost operatic voice, Peabo Bryson has established a career as one of the premier male vocalists in contemporary music of the last quarter century. Bryson has the distinction of being the first artist in music history to have separate records topping four different charts (pop, adult contemporary, contemporary jazz and classical crossover album). Hits “Show & Tell” and “Can You Stop The Rain” climbed the R&B charts, “Tonight I Celebrate My Love” with Roberta Flack became a crossover smash, and beloved tunes “Feel the Fire” and “I’m So Into You” penetrated the hearts of soul fans. Tickets for the Thursday, May 16, 7:30 p.m. performance by Peabo Bryson are $30-$60 and may be purchased by calling 864.467.3000 or 800.888.7768, in person at the Peace Center Box Office or online at www.peacecenter.org. A limited number of VIP tickets are available, including a pre-show meet and greet with photo op, gift bag, CD and t-shirt. Tickets go on sale to Peacekeepers beginning now and go on sale to the public on Friday, Jan. 25, at 10 a.m. Handling fees will apply to phone and online sales.